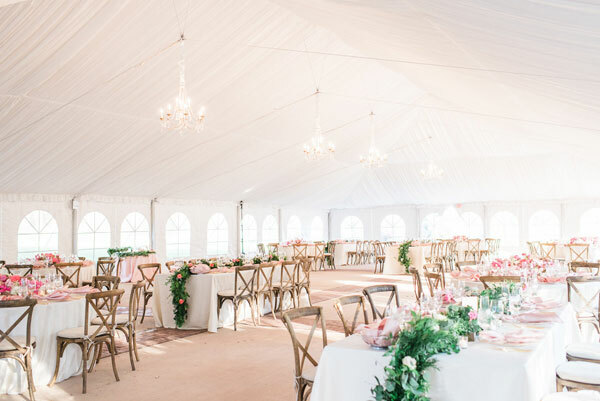 With nearly three decades of experience as one of the top wedding catering companies in Vienna, VA, it is safe to say we’ve got the wedding planning process down. Everything is streamlined to remove any stress and unwanted responsibilities from your shoulders so you can have a great time planning your dream wedding. You might even take pleasure in learning about the journey that our expert wedding planners can guide you through! When you choose among Washington, D.C. catering companies, there is a lot more to consider than just the food. Of course you want the highest-quality dishes at your wedding, but you will also need creative professionals to incorporate your style into every aspect of your wedding. From creating a custom menu to designing décor, the best wedding planners use your vision as inspiration. When you give us a call or contact us to let us know when is best to chat, we will take the time to learn about your wedding vision. From there, we can determine what types of services best meet your goals and coordinate all the details for you. Once we know exactly what you want, we will email you menu proposals filled with fresh, local and seasonal food that matches your taste. We can meet at our office, arrange a phone call, or communicate via email, and we will discuss and revise your wedding menu until it is perfect. 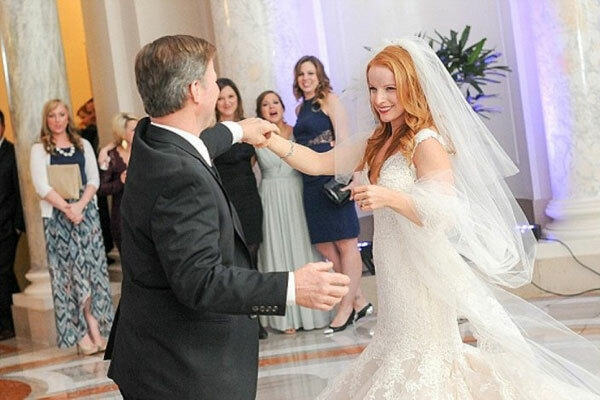 This is also a great time to explore many of the Washington, D.C. wedding venues, including their requirements of service and any fees. At this time, you will have complete confidence in your wedding menu and catering team to deliver an exceptional experience at your venue of choice. You will need to reserve the date for your wedding day. We can put you in the books with a deposit of $1000. Payment of fifty percent two months prior to your wedding and the remaining portion one week prior gives you the peace of mind that comes from knowing you have the most trusted wedding planners by your side. Our creative catering team excels at fine-tuning dishes and plans until the very last moment of your exquisite wedding. If you’d like, we are happy to arrange a private tasting at our showroom in Vienna, VA. This is your opportunity to give us honest feedback on specific menu items so that we can adjust the dishes to your specifications. We know your calendar is packed, so we offer private tastings Tuesday through Thursday at 11am–3pm, Thursday night and a Saturday (once a month). 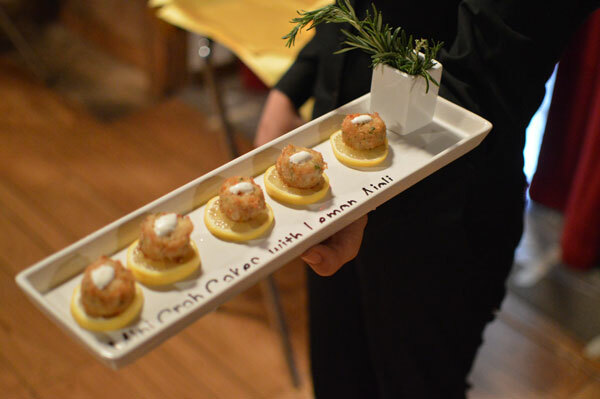 We will find a convenient date and time just for you to enjoy working with your Northern Virginia wedding catering company to finalize your dream menu. Throughout the wedding planning process, our friendly event designers, culinary professionals and expert planners will spend a lot of time getting to know you. That is because it is your unique personality that we use to create a memorable wedding day. But as our clients and staff build a relationship, couples often want to learn more about our professionals and their services. Margot Jones founded Purple Onion Catering Co. 26 years ago. In 2016, we will cater over 100 weddings in the DMV area. Will you provide an on-site coordinator who will run the entire event? Yes. There will be either the event designer or an event producer on-site at your event to ensure that everything is going according to plan. Can you help select other vendors (specialty lighting, elaborate décor, theme events, etc.)? Of course, we are happy to do so! Our event designers are very skilled and experienced when it comes to event design, and they will be happy to assist you with any décor and theme questions you may have. We also have great relationships with many local vendors and are happy to offer recommendations when needed. Do we have to work off a preset menu or can you create a custom menu for our event? If I have a special dish I’d like served, would you accommodate that? We are always creating new menu items and take great satisfaction in accommodating dietary needs or special requests. Keep in mind that we have a broad range of food items in our menu’s database—we are confident you will find the perfect dish for your event. Do you provide alcoholic beverages? Can you accommodate specialty cocktails? Yes and yes. We can provide alcoholic beverages from beer and wine to a full alcohol bar. We can also create specialty cocktails; our event designers will help you through the process of finding a great cocktail that will fit your event style. Can we provide the alcohol and you provide bartenders? Yes, many couples choose this option to cut expenses. If you decide to go this route, we will provide full bar setups (glassware, mixers, garnishes, etc.) as well as the bartender(s). Do you charge a corkage fee if we provide our own wine or champagne? How will the servers be dressed? Servers will be dressed in black attire, which consists of black shoes, pants, a black dress shirt, a vest and a tie. Our chefs will wear Purple Onion Catering’s black chef coats. How is your pricing broken down (e.g., food, bar, cake-cutting, tax, gratuity)? The price is broken down by food, bar setups, all the equipment necessary for your event based on your venue and tax. Gratuity is completely optional, but our servers, bartenders, and kitchen staff will always appreciate the gesture. How much time do you require for setting up and breaking down my event, and are there extra fees for this? Setup and breakdown are included in the event pricing quote. We require 2 hours for setup and 1 hour for breakdown depending on the scope of your event. There are weddings where we may need more time—it all depends on how large your event is and the equipment you will need. What is the last date I can give you a final guaranteed guest count? The final guest count is due two weeks prior to your event. We accept personal checks, Visa, MasterCard or American Express for payment. 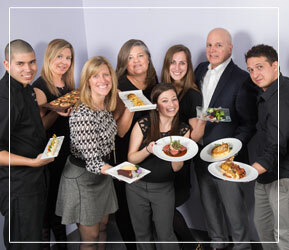 The professionals at Purple Onion Catering Co. look forward to using your unique style and vision as inspiration for your wedding. To start working with our innovative event designers, contact us online or give us a call at (703) 631-0050.